The most common Cymbalta side effects occur when the patient first begins taking the drug, or when the dosage is increased. These include sleepiness, dizziness, nausea and fatigue. Patients should wait to assess their side effects before operating a car or other machinery. In most cases, these side effects will pass or can be treated, making Cymbalta an effective treatment option. If any of the above side effects are persistent or particularly bothersome, contact your health care provider to discuss solutions. You may be able to alter your dosage or treat the side effects without quitting your duloxetine medication. Many other side effects are not indicative of an allergic reaction but are still very serious. If you experience any of these side effects, you should report them to your doctor right away. When taking Cymbalta it’s important that both the patient and those around him are aware of some of the more dangerous side effects of this medication. Some side effects involve increased depression to the point where the patient has thoughts of suicide. This danger is especially pronounced in children and teenagers, for whom this medication is not approved. However, anyone who experiences side effects such as negative changes in mood and behavior, irritability, agitation, hostility, difficulty sleeping, aggression or strange impulses should contact their doctor right away. Seek help immediately if you ever have thoughts about hurting yourself or committing suicide. One of the most common side effects of Cymbalta is insomnia. 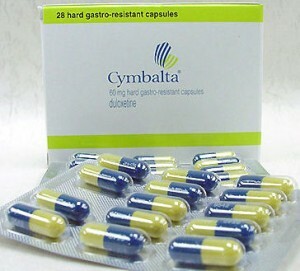 Some studies show as many as 11 percent of patients on Cymbalta suffering from this side effect. Patients often have trouble with both falling asleep and staying asleep. In the morning, they find themselves feeling drowsy rather than refreshed. Some simple adjustments to routine such as avoiding large meals and exercise late in the day or taking a warm bath before bed may be able to solve any issues with these types of side effects. Some side effects are related to skin conditions that can be life threatening when left untreated. Mouth sores, hives and rashes should all be reported a doctor immediately. Patients should be especially mindful of any skin discoloration that looks red or purple and includes peeling and blistering. Skin discoloration that is yellow in appearance is one of Cymbalta’s side effects as well. This is indicative of a liver problem and is often accompanied by other symptoms such as dark urine, stomach pain and itching. Yellowing of the skin and eyes, also known as jaundice, should be brought to the attention of your physician. When considering Cymbalta (duloxetine), always make your health care provider aware of all other medications you are taking. You should also inform your doctor of your drinking habits as this can effect how this medication works. Cymbalta is not recommended for pregnant or nursing mothers, so you should tell your doctor if you are or plan to become pregnant. For the right patients, Cymbalta is an effective treatment for depression and pain.